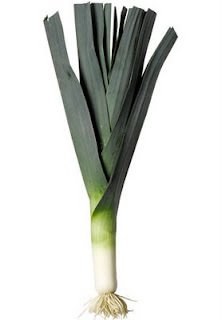 Being an American having mostly Welsh heritage, my family always made sure we had leeks in the house every year on March 1st during my childhood. March 1st marks as St. David’s Day or Dydd Gŵyl Dewi Sant in Wales, where the country celebrates the life of the patron Saint David through festivals and parades that last up to a week. Many Welsh celebrate the holiday by wearing a leek around their necks for luck. That’s right, a leek. The tradition began when Welsh troops decided to distinguish themselves from the English enemy by wearing leeks around their necks. The leek has lost some popularity due to introducing the daffodil instead, but many stick to the original symbol. Perfect with soups, casseroles, gratins, garnishes and much more, leeks can be very deceiving through their odd appearance. Therefore, give in and have a leek. You might find yourself a bit luckier than you thought.